Ronaldinho DOIS is the second football boot launched in the 10R range, Ronaldinho’s very own collection. Ronaldinho may not be in the best form his career, but that hasn’t stopped clubs clamouring for his signature. 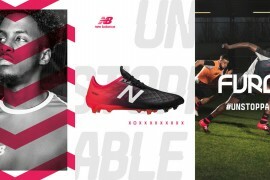 The Brazilian legend with the toothy grin and phenomenal football skills, is the only footballer in the Nike stable to have his very own collection and football boot, the 10R collection. The Ronaldinho DOIS (named DOIS as this is the second football boot in the range and DOIS means ‘two’ in Ronaldinho’s mother tongue, Portuguese), follows its predecessor the Tiempo Ronaldinho football boot, as the unique offering styled and assisted in design by Ronaldinho himself. Premium craftsmanship and superior quality Kangaroo leather combine for a professional level football boot. UPPER: Super-soft Kangaroo leather with a unique natural and raw finish. Innovative lozenge quilting for maximum support and minimum stretch. MIDSOLE: Molded sockliner with full-length foam inserts for enhanced cushioning and great in-shoe comfort. OUTSOLE: Lightweight TPU with three forefoot flex zones and textured stud tips for 360 degree ball control. I wonder would they make a microfiber version of this shoe if people requested it? like the look of these. if i was a midfielder they would be my next pair of boots. look real comfy and am liking the idea of no tongue on the front of the boot. These are awful! Why the quilted stitching? What is with the colours. Fail, absolute fail. They were such a fail that people are paying $600-800 for them on Ebay these days. I think Sam is a fail! 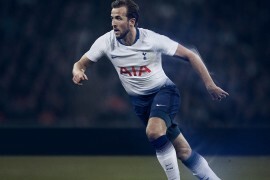 just as bad as his form at the moment, these boots are not going to help him get his confidence back. These boots look horrible, I’m not a Ronaldinho fan but the first ones looked good, these look like a quilt was but on top of it. If you ask me they should stop making R10 boots and start on Cristiano Ronaldo’s boots. I think the first ones look better. The top part looks like a pin cushion or those old leather sofas! Like the idea of no tongue for better ball feel. Maybe the qualities of the boot lie on the football field. But looks bad to me. I wouldn’t get the Grey/Green colorway though, I think the Black one is safer. These are the best looking shoes i’ve ever seen. and just wait ronaldinho is back soon! Not the best looking boots from them but I’m sure they’re great to play in like the previous ones. Sure the fat man picks a lot of the colours and details himself too! 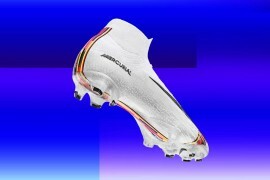 Right…these are the boots i ordered at the end of july, and apparently coming on the 4th of august. But they now hav been delade to september and i cant wait that long because the season starts soon. But im finding it extremily hard to order a different pair because these boots look amazing! Only if ronadinho came manchester city. I remember when I first saw them I thought they were terrible and looked ugly, But between my two clubs there are a few that have them. Since seeing them being played in, and how they play, they’re great. They look awesome when you actually play in them, and the quilted leather adds softness to the touch. The only downside is I’ve read they don’t last long (sometimes rip in the first day o.o) And I would imagine the quilted stitching would come un-done easily. Overall they are actually great boots! this make me wanna throw up in my mouth! They make me sick to my stomach! This is shear cruelty to ronaldihno! And if I see one of my friends buy them I’ll just LMFAO! Ewwwwwwww these are terrible!!! These shoes are so good and nice!! 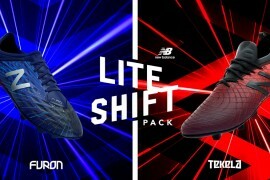 Ronaldinho I love you, you are so good and i know u will come back i know it just wait people ronaldinho is coming back and these shoes are so nice awsome im buying them as soon as possible i already have the first tiempo ronaldinho and theyre so good 😀 100% touch, 100% skills, 100% Ronaldinho. Pingback: Say Hello 2 Sunshine » THE RONALDINHO DOIS R10!! The Bad Shoes…Nike,Why You Made This Boots? Just wait till you have seen them in the flesh, felt them, tried them on- WOW!! better than any other boot, esp the plastic ones made from carrier bags- now they are pants. Ive just bought a pair, never want to take them off or get them dirty, they feel so good. I know it´s a long time ago that you wrote this, but do you still have them? If you do, I would be interested in buying them. I´ve been looking everywhere but they are so difficult to get! Where are these boots made in? CHINA?! yo, they are okay looking i think..but the yellow ones look mad awesome, and i just bought them today..but i bought the indoor shoes..they feel mad comfortable, and idk..they look better on that in pics or anything. trust me, when you see it on someone..they are my favorite cleats i’ve seen so far. I know it´s a long time ago that you wrote this, but do you still have them? If you do, I would be interested in buying them. I´ve been looking everywhere but they are so difficult to get. I know it´s a long time ago that you wrote this, but do you still have them? If you do, I´d be interested in buying them. I´ve been looking everywhere but they are so difficult to get! I know it´s a long time ago that you wrote this, but do you still have them? If you do, I´d be interested in buying them. I´ve been looking everywhere but they are so difficult to get. does anyone know where i can buy these boots?